Hummingbirds represent the pinnacle of aerial maneuverability in the avian world, and their survival depends on their ability to maneuver near or within vegetation during their everyday activities. I incorporate high-speed videography with behavioral experiments and physics-based models to understand how hummingbirds negotiate the complex, three-dimensional structure of natural vegetation. 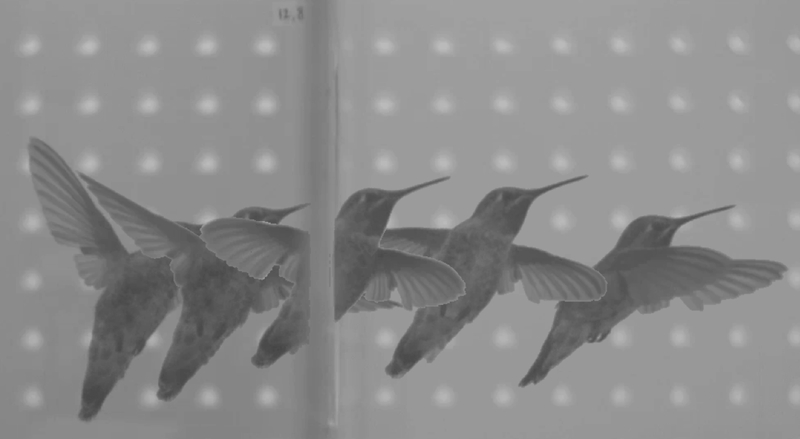 The negotiation techniques we observe in hummingbirds can provide design principles and kinematic strategies for the next generation of microair vehicles and inform as to hummingbirds’ ecological capacities as pollinators.